“Eternal sunshine of the spotless mind!” – Eloisa to Ablelard, Alexander Pope. “This is the way the world ends// Not with a bang but a whimper.” – The Hollow Men, T.S. Elliot. Or, “[salt is] the central flavor of the infinite.” – Ode to Salt, Pablo Neruda. —I am willing to bet that those ideas didn’t happen by your conscious mind until these poets were so good as to call them to your attention. Another thing: poetry almost never rhymes anymore and when it does it is supposed to blow your freaking mind. Not only that, but poetry is supposed to make so much sense that it makes more that one kind of sense. You dig? First we take Manhattan, then we take Berlin” — First we take Manhattan, Leonard Cohen (and I know it’s a song – I’m trying to appeal to the masses here). — So, like, it’s not an instruction manual but you get the gist, right? And you love it. One last thing: poetry is not about big old emotional emotions. I mean, it can be but you don’t have to read Emo-teen poets – so don’t. If Ella from Twilight wrote a poem, I wouldn’t read it, I’d bury it. And so would anyone one else who reads and writes poetry. Poetry is funny and smart. It’s able to go where no other form of written expression can, directly to the heart of the matter (the cold and bleeding heart of Love). — For the record, this might be the only cat poem in the WORLD that doesn’t rhyme. 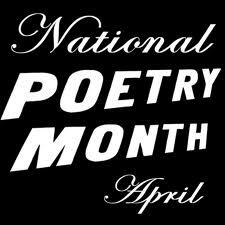 There is so much more to say about poetry, I will sporadically throughout the month, and I may have sold it a bit short in this post so, feel free to add more poems, your poems or links to other ways to appreciate poetry. But the first step is to admit that you’ve been living a lie and you’ve actually liked poetry all along. If I could do it, so can you. I am E.A. Hand and I like poetry. Next > How is Writer’s Block like a Pop Star?